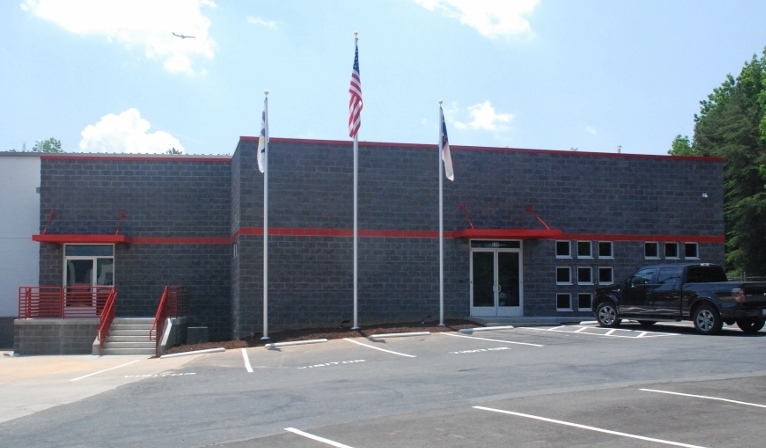 S. C. Hondros & Associates, Inc. recently completed the renovation and expansion of G & W Equipment’s Charlotte, NC facility. G & W Equipment, Inc. is a lift truck and material handling company and is the authorized dealer for Cat lift trucks, Mitsubishi and Jungheinrich forklifts throughout most of the Carolinas. The project consisted of demolishing and rebuilding G & W Equipment’s existing branch office and building a new parts department with storage and city counter. I just wanted to pass along a quick note to you regarding Paul, Eddie and Brian. John and I both really enjoyed working with them and they did a great job for us. At times they felt like part of the G&W team and they certainly found the balance of keeping both your and our interests at top of mind. We couldn’t be more pleased with how things turned out even with juggling subs and schedules. I don’t think things would have gone as smoothly without those guys. Many thanks to G & W Equipment for placing their confidence in S. C. Hondros & Associates, Inc. We look forward to continuing this relationship for years to come.